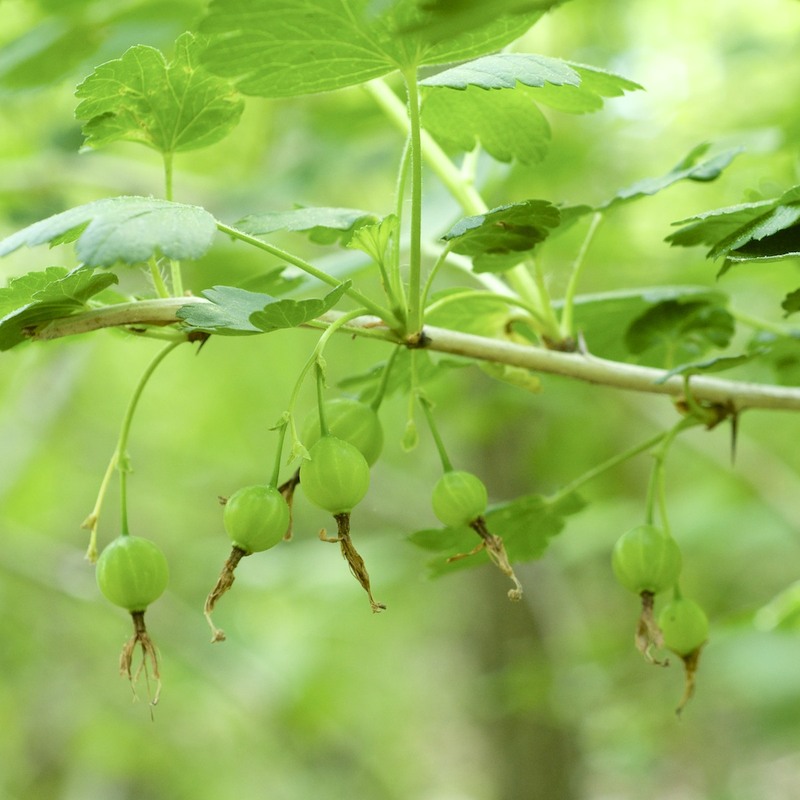 Missouri Gooseberry (Ribes missouriense) is one of four species of gooseberries in Arkansas. Sometimes called currants, the genus is found across most of the northern hemisphere, extending down into South America via the Andes. 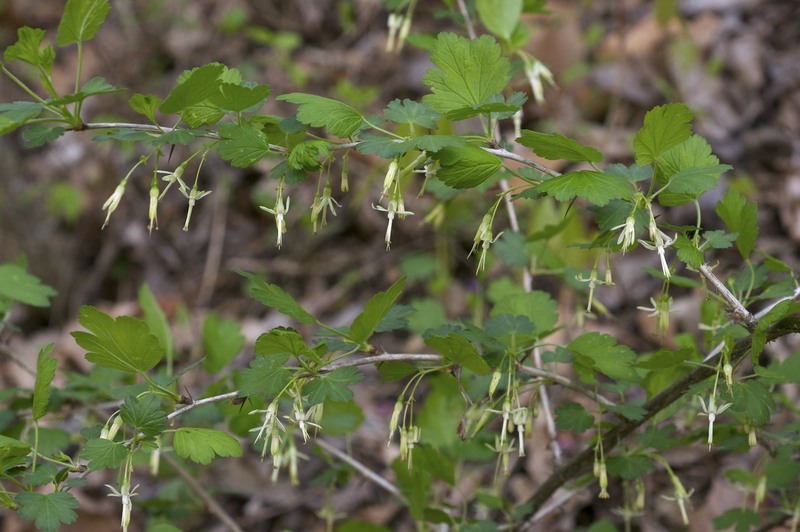 It is the only genus in the Grossulariaceae (Currant/Gooseberry) family. Missouri gooseberry occurs primarily in the Ozarks and one southwestern county. This species favors cleared lands, disturbed lands, fields and meadows. Arkansas is at the southern edge of this species’ range in North America. The flowers are small and a creamy white color. The ripe fruits are said to dry well and make excellent tarts. Gooseberries are generally armed against plant-eaters in the environment. The stems of Missouri Gooseberry have widely spaced thorns of moderate size. More importantly – the fruit is smooth – no prickles or thorns, an important factor in its desirability. 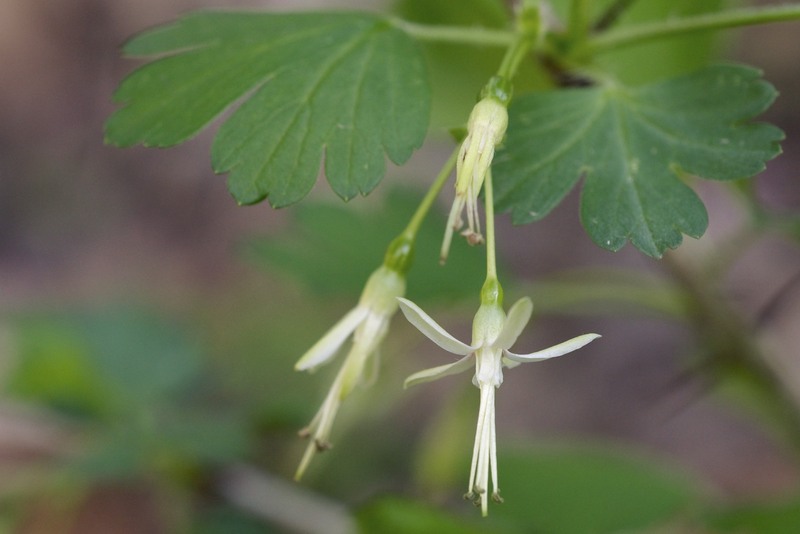 This entry was posted in Know Your Natives, Native Plants, Shrubs, Wildflowers and tagged Fruit, Gooseberry, Grossulariaceae, Ribes, Wildflower. Bookmark the permalink.